As a mom of a toddler I experienced many unpleasant odors from pee to pooh that now I can definitely find out where the smell is coming from. Our potty training went up and down and now we luckily can use a bathroom as other grown-ups. I probably became super sensitive to not-so-friendly odors in my house and definitely tried to eliminate them differently with sprays which I think made it worse. Coming to the point that if something smells roses in a bathroom means that someone visited it and made that “bad” job. With our big family, and family members with some medical conditions we have to respect everyone and treat them accordingly, because we love our family no matter what. My first try of Just a Drop Ostomy impressed me much, as it not only eliminates embarrassing odours before they enter the air, the bathroom does not smell anything, I get an absolutely odor free room. 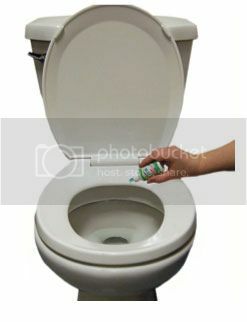 Just a few drops is enough to receive the successful results, the main idea is to place drops before the using the toilet. It was great to see that this product made in Canada and was featured on Dr.Oz and The Doctors shows. So far it is the best product in the area and helps effectively without making everyone leave the house. Just a Drop generously offered 20% discount on first purchase using coupon code “Blogger”. You can also check them online, and follow them on Twitter, they bring incredible results.